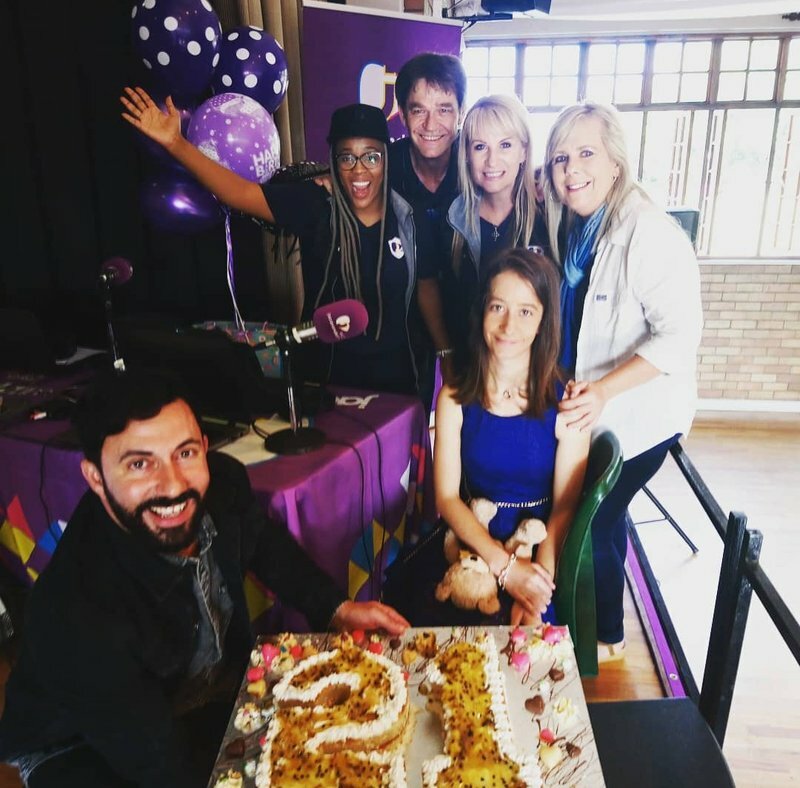 Breakfast Show hosts Martin Bester and Tumi Morake suprised Marelize Greyling with a massive birthday surprise that she will remember forever. Marelize Greyling has been looking forward to her big 21st birthday for months. She is a pupil at Alma School for mentally challenged learners in Pretoria, where she shares a class with 15 other girls. They are all going to dress in civies and her parents are throwing a tea party for her and her class friends. She is extremely excited and they’ve been planning every detail for weeks. Alma School is 55-years-old and provides specialised education and therapy to ensure their pupils' individual optimal development. Learners receive intensive specialised physiotherapy, occupational therapy and teaching. Alma School also offers learners exposure to a variety of cultural and sports activities. These include participation in the school percussion band, wheelchair dancers and choir. The y also participate in soccer, netball, cricket, karate, golf and athletics. Alma hosts two annual sports days: one for athletics and another for the other sporting codes. Extra help is needed in the classroom for feeding, toilet training, nappy changing and to help learners in and out of their wheelchairs. Alma School manages a feeding scheme that provides a balanced diet to a number of less fortunate learners. This ensures optimal learning and well-nutritioned children. Many of the learners make use of the school’s transport system. Four mini buses follow routes covering all of the Tshwane Metropolitan area. Other learners use private taxis coming from as far as Winterveld, Mabopane, Garankuwa, Soshanguve and Mamelodi. Learners cannot make use of public transport because of their disabilities. My verstandelik gestremde dogter, Marelize, word 21 op 28 Februarie!! Dis vir ons ‘n BAIE groot dag gegewe die lang pad wat sy moes loop om uiteindelik haar “twenty first” te kan vier. Hierdie kinders is as ‘n reël mal oor musiek en dit sou haar dag maak as Martin Bester sy liedjie “Sê my wat weet ek tog” vir haar kon sing by die skool (Alma skool vir gestremdes in Pretoria), op haar verjaardag. Die liedjie is een van haar gunstelinge. Ek weet sommer die ander kinders sal dit baie geniet en so iets sal baie spesiaal vir hulle wees. Ons is so mal oor Marelize en as ouers het ons ‘n laaaang pad met haar geloop, ‘n pad wat soms vol dubbeltjies was, maar oor die algemeen ‘n ongelooflike pad wat ons geleer het om die lewe te waardeer en dankbaar te wees vir wat jy het! Ons as ouers wil graag hierdie dag so spesiaal as moontlik vir hierdie spesiale meisiekind van ons maak. Sy sien ook al maande uit na haar 21ste! !